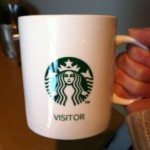 Those Starbucks Support Center visitor mugs are pretty special! 7. 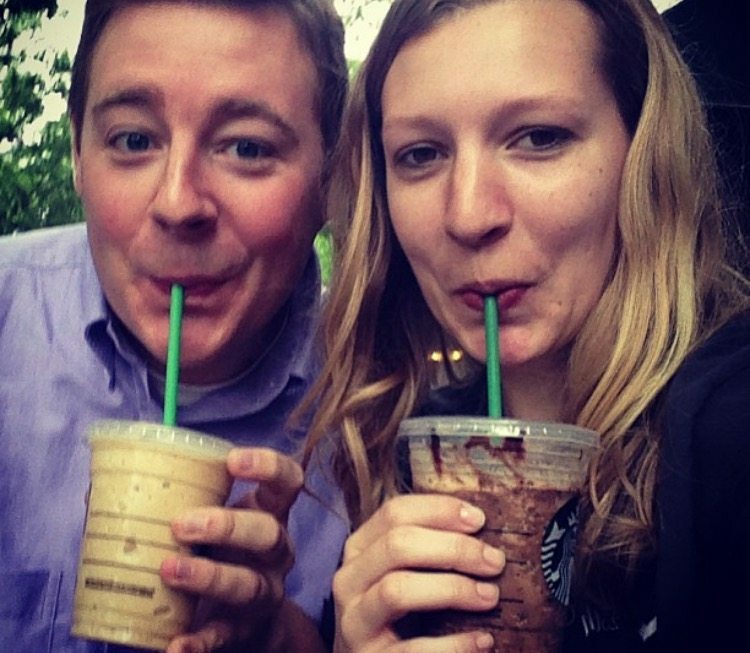 Megan C. has a long Starbucks history! 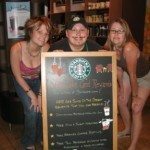 “I’ve had some great memories while going to Starbucks for the past 16 years. 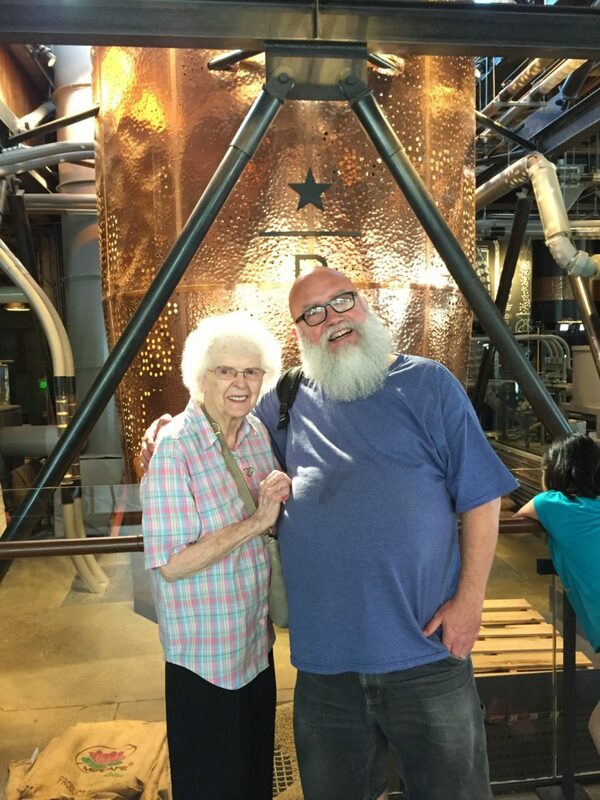 In the most recent years, I really enjoyed meeting all of my online friends in Seattle and seeing so much Starbucks History. I also really enjoyed visiting Sue Fox and seeing her massive card collection. 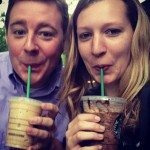 And she made it into Starbucks on Valentine’s Day with her hubby Mitch and took a cute photo with the photo props! 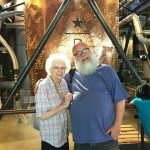 Melody, my home is in San Francisco, but I have been in Canada for medical treatment after being thrown off my medical plan 18 months into cancer treatment. Because my mom was Canadian and I have a Canadian passport, I am able to receive medical treatment here in B.C. Although I was told to expect to be here for 4 to 6 months, I have been here for 18 months (as of today actually!). I am staying in my little (14 foot) travel trailer parked in someone’s yard. I do not know a single soul here and, because I have been here much longer than expected, my medications cost much more than anticipated and my bills at home in San Francisco still go on whether I am there or not, I am on a pretty tight budget: a movie once a month, window shopping only and definitely no eating out. To make matters worse, I am in the Vancouver suburbs and for someone who has lived their life in the center of the city, it’s a tough adjustment. 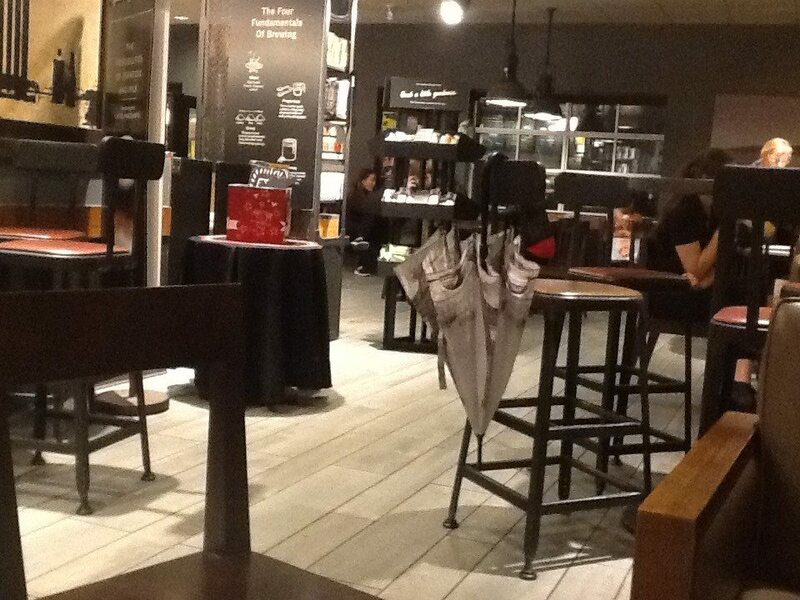 But I always make room in my budget for my daily trip to Starbucks #60, Ocean Park store, located at 1658 128 St. in South Surrey, BC. 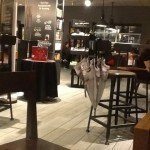 Although not a large Starbucks, it is a very busy one. 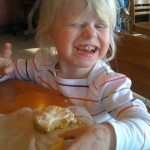 Depending on my medical appointments, I am sometimes there just after breakfast when the moms come in for coffee after dropping their kiddies at school or finishing their jog. Other times, I am there in the early afternoon when a lot of seniors come in for a drink after finishing their shopping at the Safeway next door. Lately, I have been there in the late afternoon,after finishing my radiation treatments and a 75 minute Sky Train and bus ride from the city. 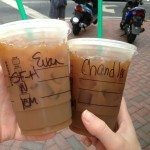 I cannot tell you how wonderful it is to sink in to those soft seats, with a Vente Earl Grey latte, a London Fog or an Oprah Chai Tea in my hand and just try to unwind. Just being among other people, especially those who are not sick but going about their everyday lives, makes me think positive thoughts about my future. Hearing kids laugh, watching what people wear (I admit to being a bit of a fashionista in my ‘normal’ life), eavesdropping on conversations about what color to paint the walls or where to go on vacation returns my reverie to the positive side of things after what is often a black day(and I’m not just talking about the Canadian weather!). In the past couple of weeks, I have fallen asleep in those chairs (radiation can be very draining…I hope you never have to find that out for yourself). A few times, after a short snooze, I have heard people make snide remarks about my sleeping, but I forgive them…they know not of what they speak. 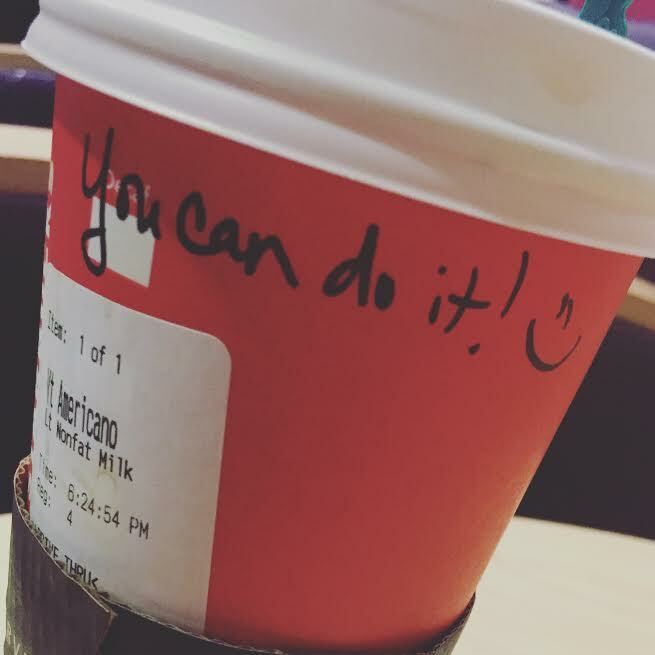 But the Starbucks staff here? Princes and princesses among mere mortals. 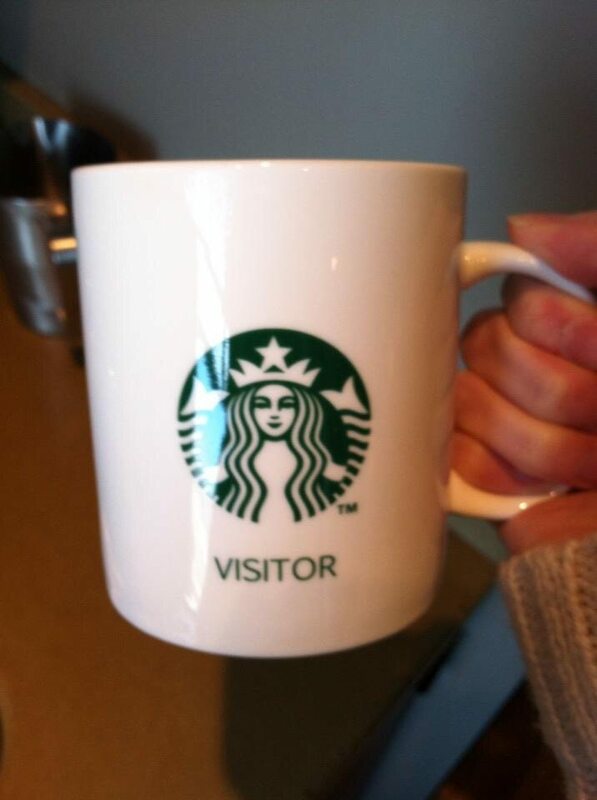 Always kind, always welcoming. I haven’t told any of them of my situation here, but I suspect they know more than I think. 9. 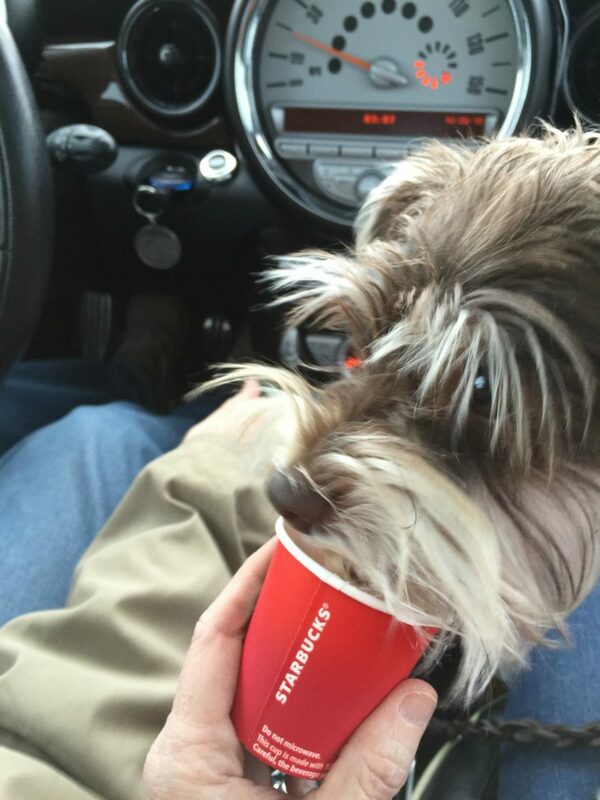 Carrie E. – Carrie sent in a pic of her pup, “Tex”, getting a puppuccino! 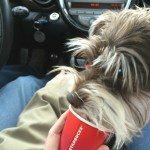 It reminds me, please be sure to visit PetsOfStarbucks.com too! 10. 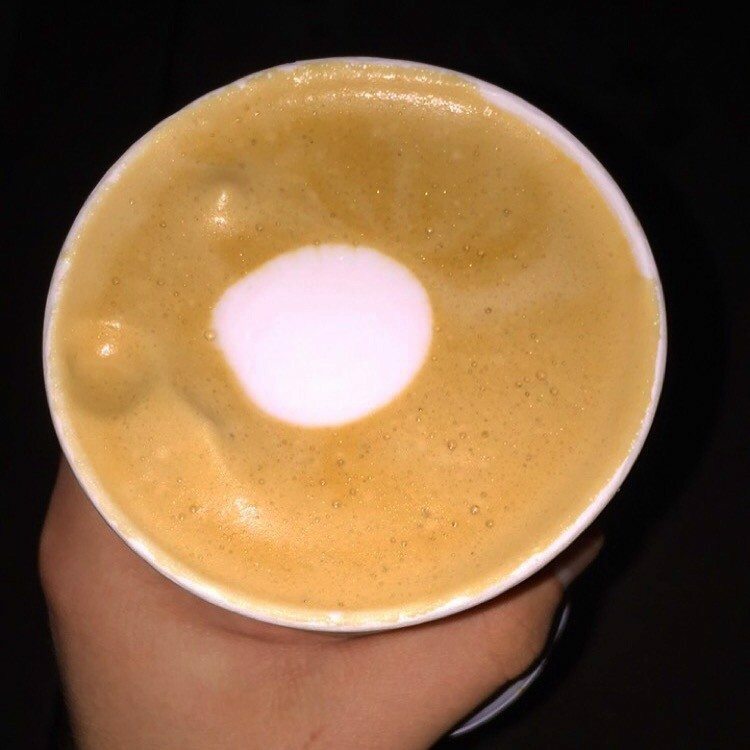 Tyler wrote in simply because he appreciates a beautiful flat white. I do too! And after my milk steaming lesson earlier this week, I’m impressed with all the partners out there who can consistently produce an excellent flat white. 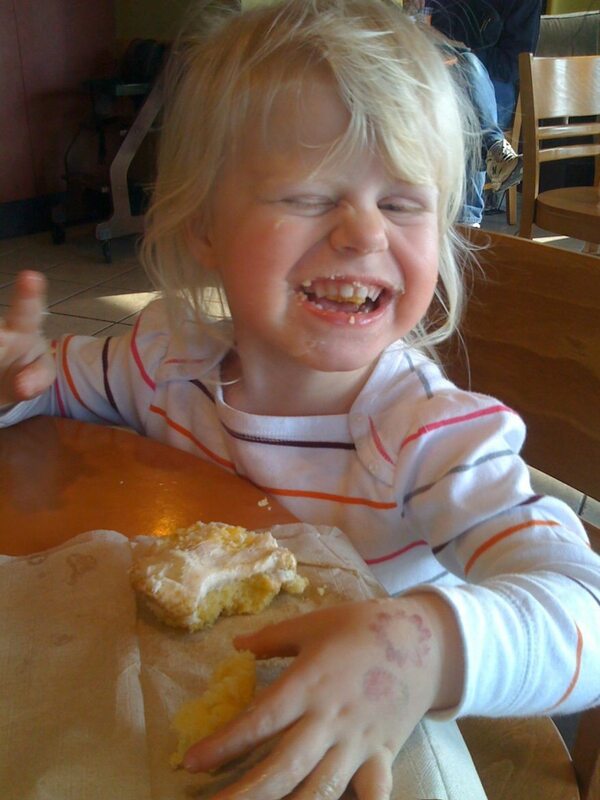 Thank you for sending in your photos, pictures and stories! 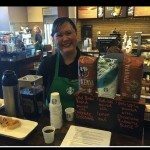 Let's Talk New MyStarbucksRewards, starting early April 2016. 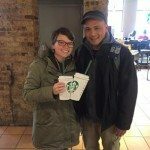 Love seeing other’s experiences! 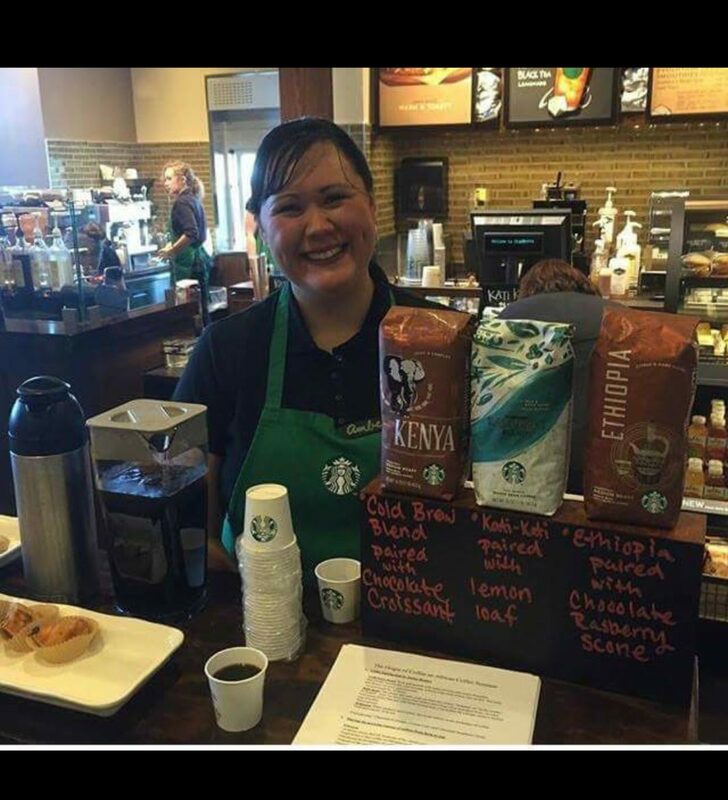 Starbucks is world-reaching, and I love being a part of that. I’m so glad you two like this. 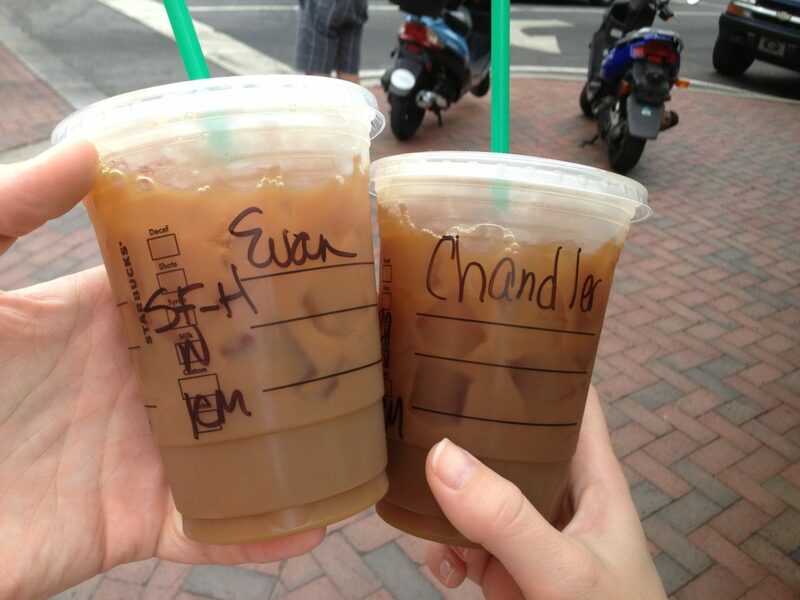 Thank you Lisa and Claire. These are the kind of articles that make me feel good too. 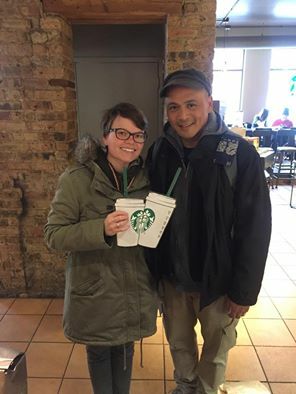 I worry because I hear about negative Starbucks experiences, but emails like I got are so refreshing and remind me that there are lots of great (and untold) Starbucks stories out there. How would one come in contact with Lyddy R.? Her story is heart-warming and wrenching all-in-one. I hope to bring joy to her from San Diego. Customers shouldn’t pay .75 extra for cream cheese or butter when ordering a bagel.